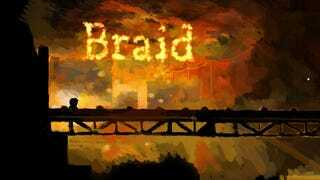 Indie darling of 2008, Braid is heading to Steam next month for $15. We loved it. The Interactive Achievement Awards loved it. And now on March 31 you can love it too. So now you can pick up the game for PC on Steam or Impulse or for Mac on Hothead. Now you have no excuses not to play this game.